Market surveys don’t discover the truth. They uncover perceptions. Let me give an example. We recently finished a survey on Software Defined Networking (SDN) for one of our clients, Tail-f Systems. We talked to hundreds of IT professionals in large North American enterprises and two things jumped out at me. First, these IT pros rated SDN as being the most important IT initiative underway in their company at the moment. More than virtualization, mobility and cloud. 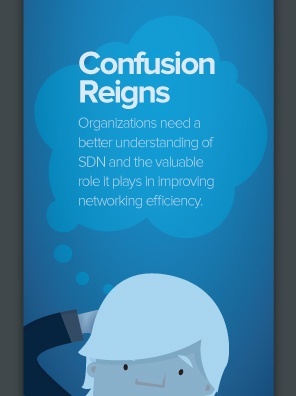 Second, only half know what SDN actually is. Think about that — it is the most important thing they are doing but half are not sure what it is. Is that true? I doubt it. I mean, sure, I believe they are fuzzy about what SDN is — it is early days and most of you probably are as well. But I doubt that most are actually implementing just yet. Does it really matter? The real news is that SDN is the hottest discussion in the data center right now and IT needs help. While lesser minds will lament that the data cannot be “true,” smart marketers will understand that the data represent the perception IT currently has and will recognize the huge opportunity. It is simple, really. IT is excited about SDN, but confused. SDN companies have deep knowledge — and a unique point of view — about SDN. The smart marketing exec will recognize the opportunity to start a conversation that may well lead to future sales. Next time you see survey data that seem contradictory, stop thinking about truth and see if the underlying perceptions might lead to an opportunity for you.